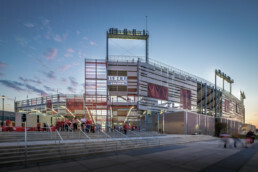 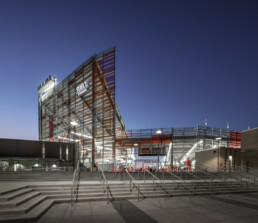 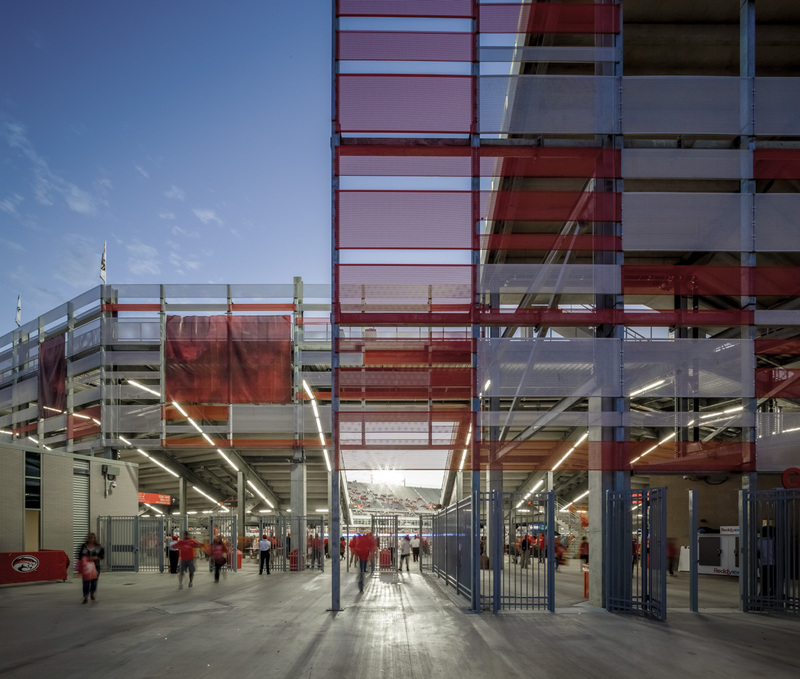 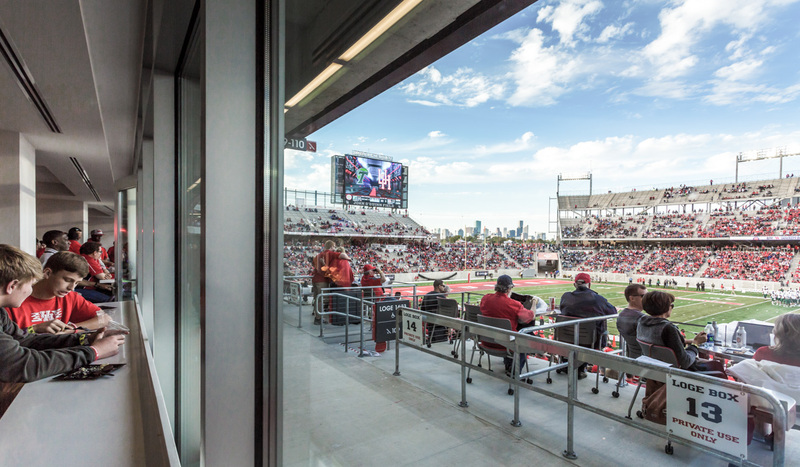 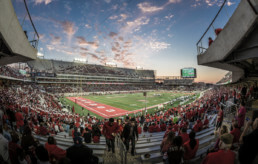 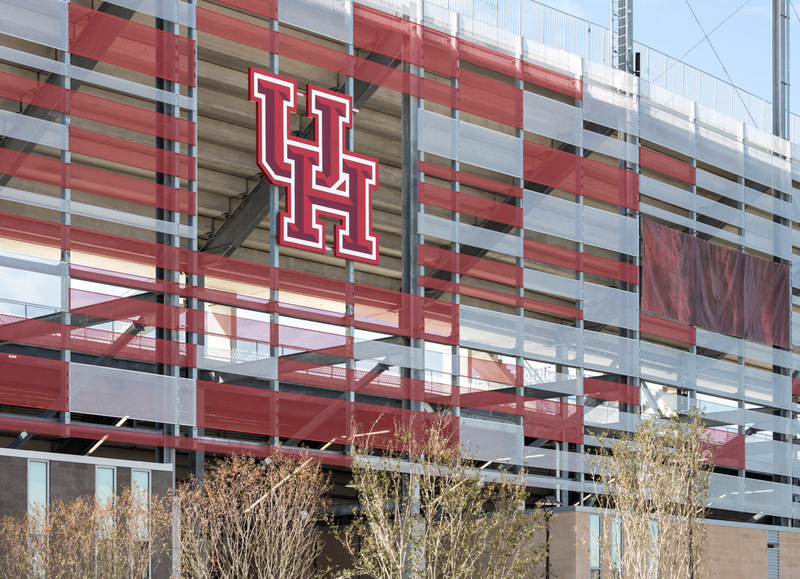 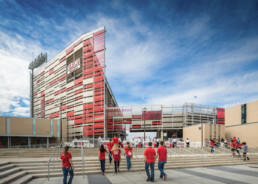 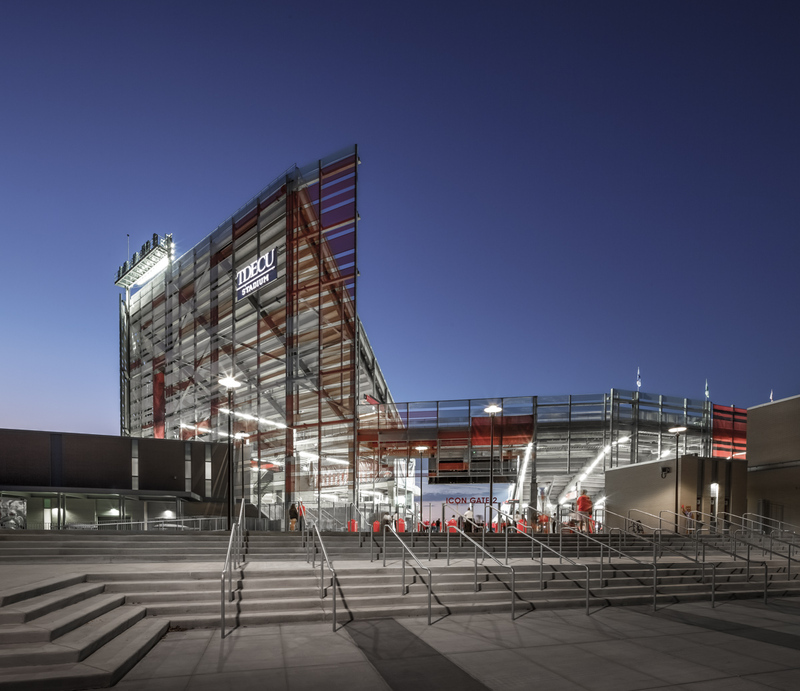 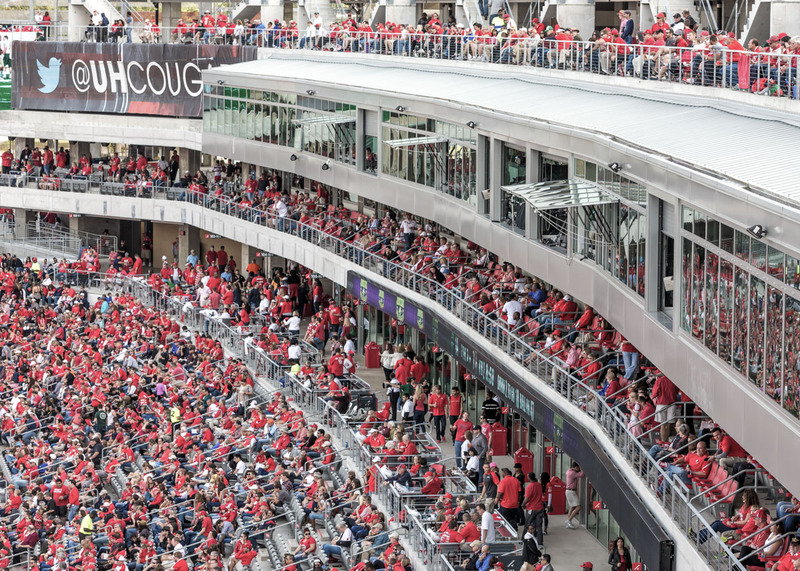 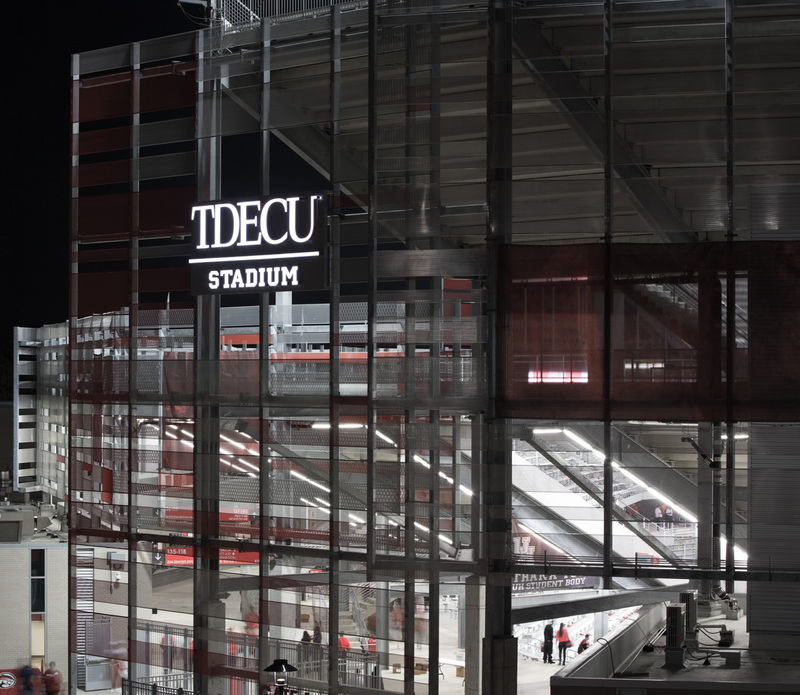 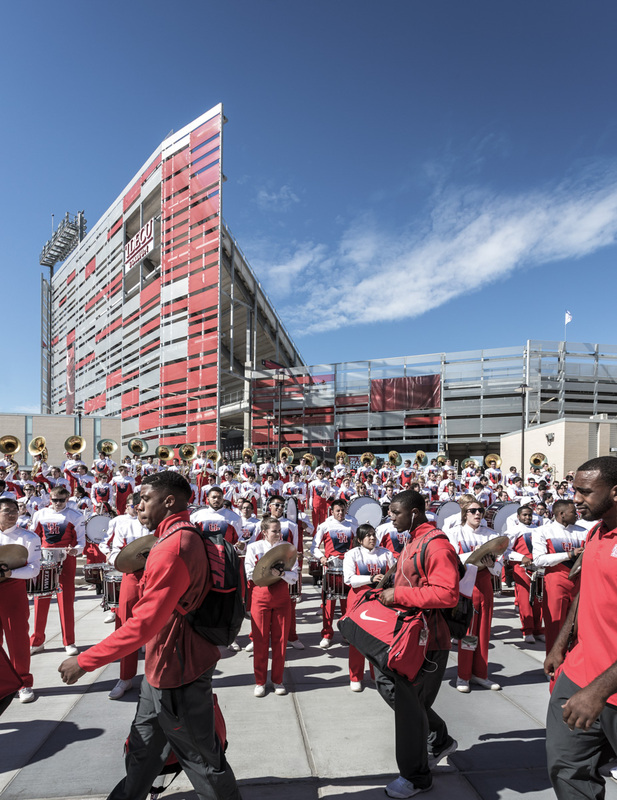 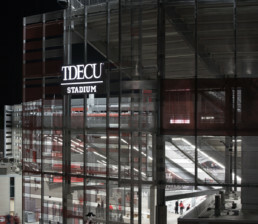 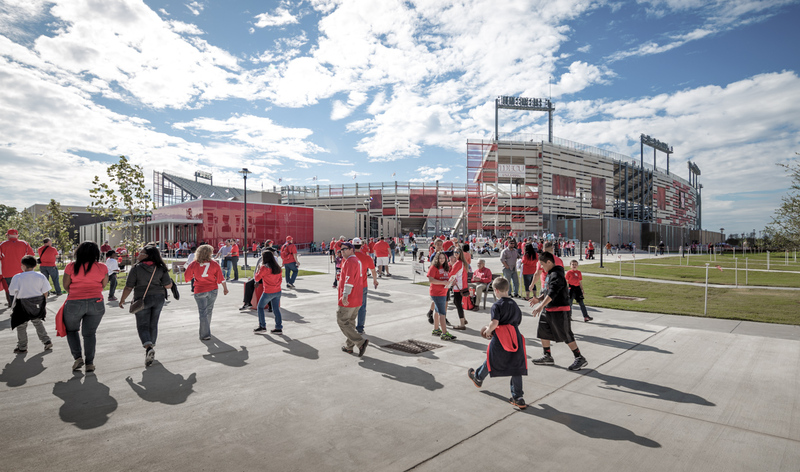 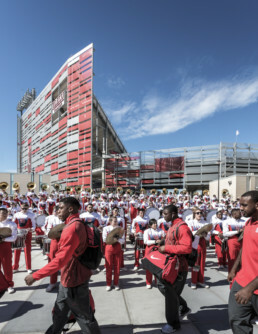 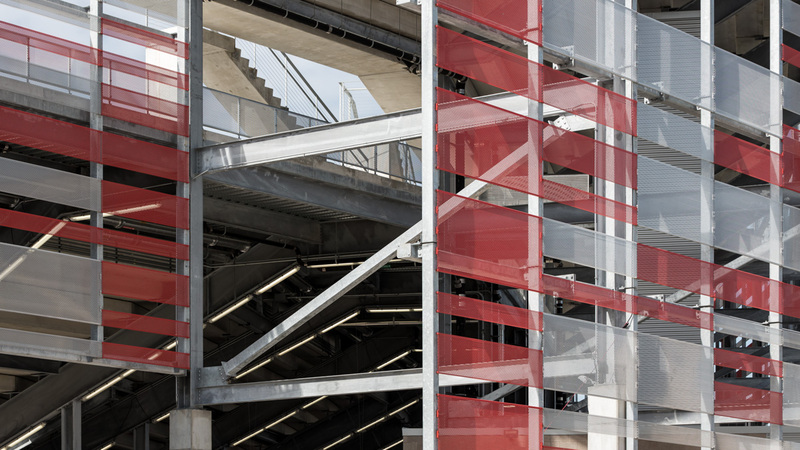 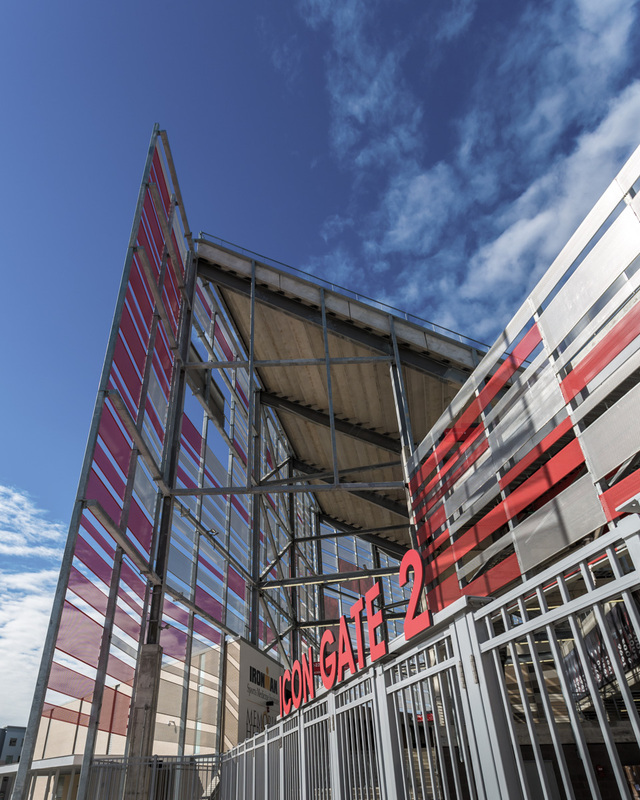 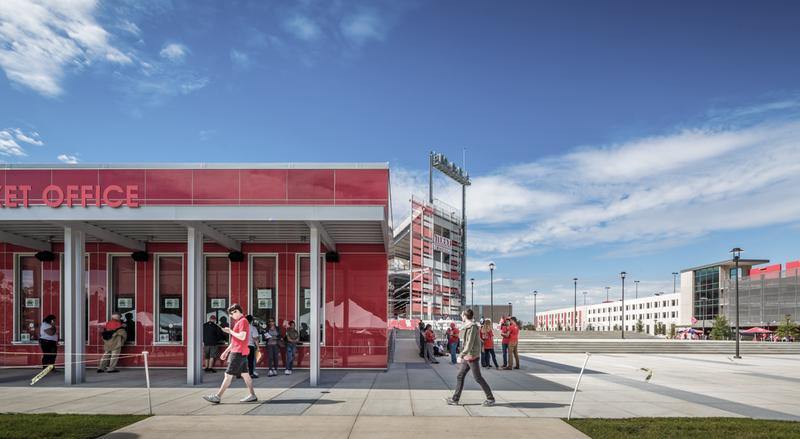 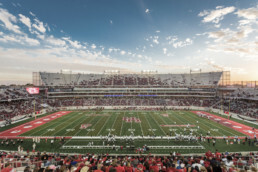 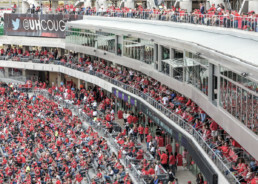 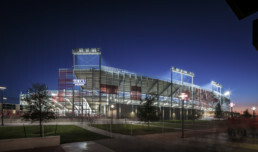 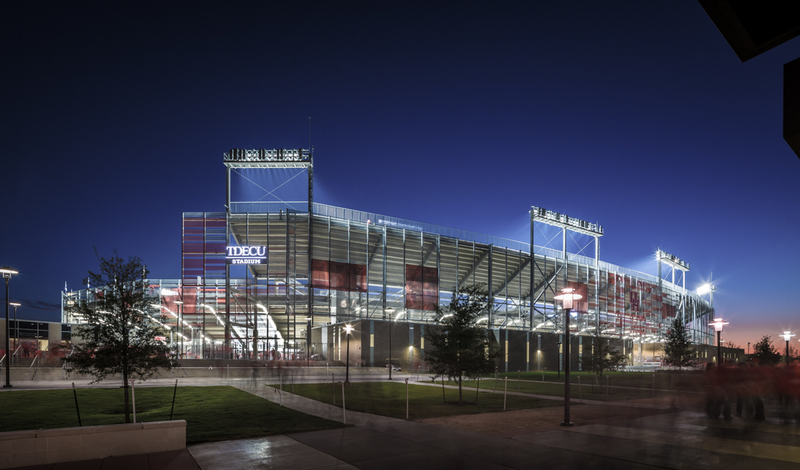 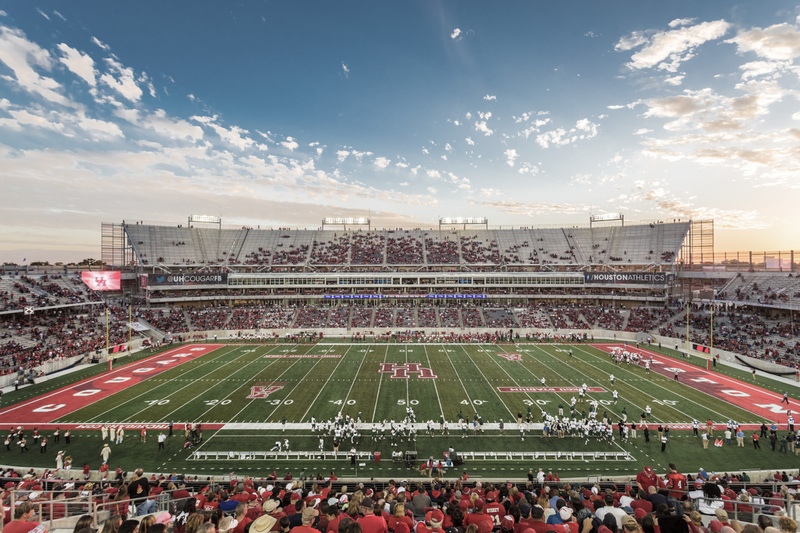 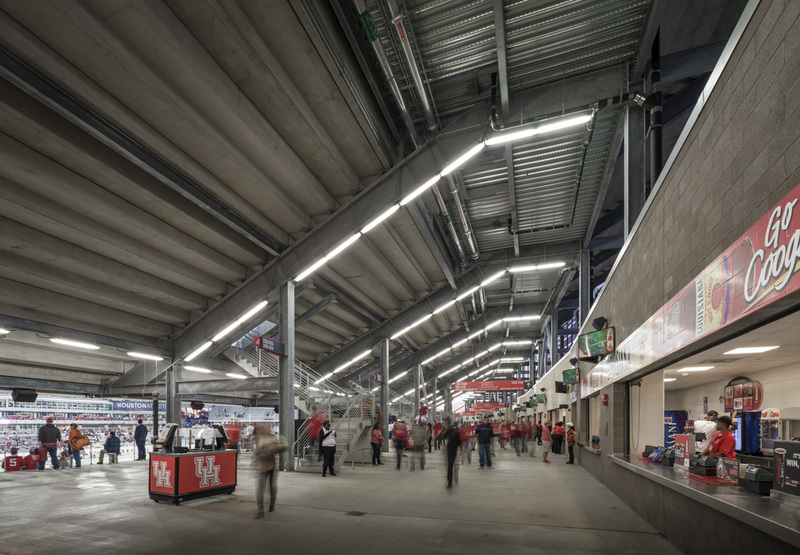 Located on the site of the former Robertson Stadium, which was built in 1942 to serve local public schools, the new 40,000-seat TDECU stadium at the University of Houston has transformed the game day experience for fans and student-athletes. 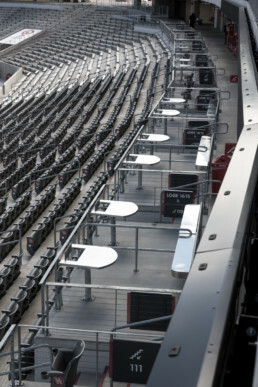 The new stadium offers upgraded amenities, a variety of seating options and dynamic sightlines. 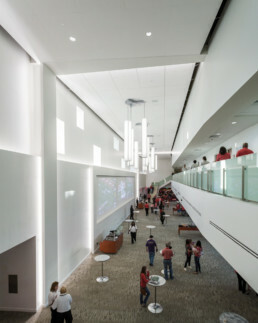 A change in orientation aligned it with adjacent buildings and the surrounding campus circulation to provide stunning views of downtown Houston. 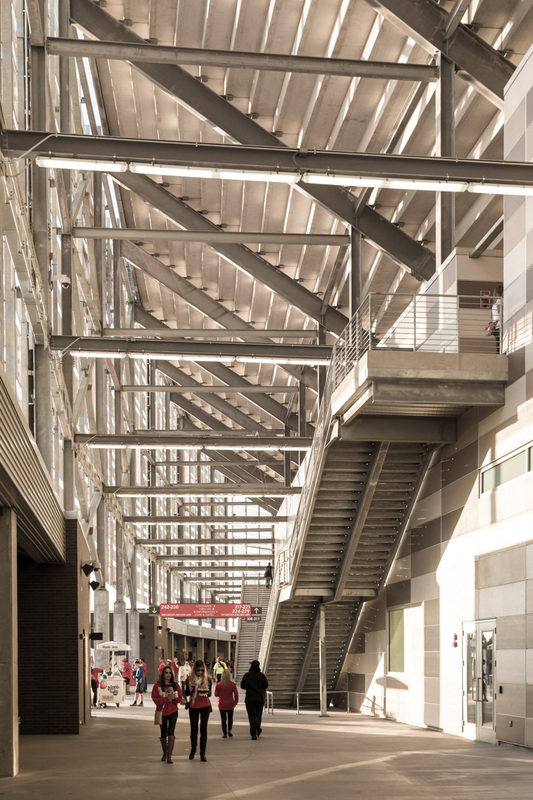 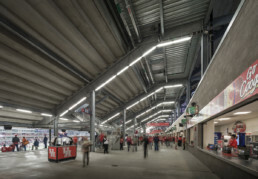 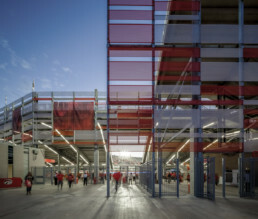 Natural light filters into the concourse while still protecting fans from the elements, and assures ample air flow throughout the concourse and stadium for the comfort of spectators.